The Ford Expedition is one of the longest selling SUVs in history. Its larger size and amenities inside surely help to propel its sales each year. We know that the engine that hides underneath the hood is one of the reasons that the public loves this SUV so much. The 5.4-liter Triton is an engine that screams pure power. Ford uses this engine successfully in F-150 trucks and vans, but the Expedition has never had another engine placed inside of it like the 5.4L. You will find our massive inventory online to be complete with Ford 5.4L Expedition engines for sale at awesomely low prices. 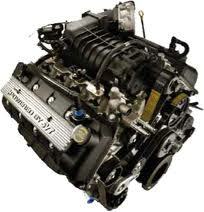 Our used and rebuilt Ford engines are great engine replacements. Ford is so confident in their 5.4L engine that it has been their flagship engine for almost 15 years. We are also confident in what the Triton can do and that’s one of the reasons that you’ll find it ready for sale in our warehouse. We didn’t tell you yet how affordable our engines are and what we offer for sale. We exclusively provide used and remanufactured Ford Triton V8 engines. Each one is in great condition and designed to give you the most value for your engine dollars. We ship worldwide so receiving our engines is not an issue. Although we sell 2 different types of engines, they are actually very closely related. Our purchasing department gets our engines directly from dealerships that sell Ford SUVs or we buy them straight from distributors. Every engine that we buy comes through our engine shop as a used one. The way that an engine leaves our engine shop depends on what type of engine that you will buy. We test everything that we work on to backup all claims that we sell flawless engines. Our discounted used engines are in the best shape that we have ever seen for an online engine seller. On the remanufacturing side of our engine facility, much of the hard work is completed during every business day. We are constantly building Ford engines in our shop and that’s why we have perfected the remanufacturing process. Our 5.4L engines each have brand new parts that are totally genuine Ford replacements. Our customers around the world use our reman engines as swaps or replacements for wrecked vehicles. We truly believe that what we sell to our customers is just as good as anything that Ford can do to an engine in their engine plants. Our work is warranted and guaranteed not to fail on you. You can buy an Expedition Triton engine with complete confidence that it will last for a long time. You wanted the lowest price and your search has brought you here. Call us at 1-877-630-3873 and we’ll deliver on all of our promises to you. Our engines are great. Use the Expedition quote form on this page to have your 5.4L price sent out to you by email. It’s fast and really, really easy to deal with us. We take care of you and happily give you all of the information that you need to get one of our Ford engines shipped to you.